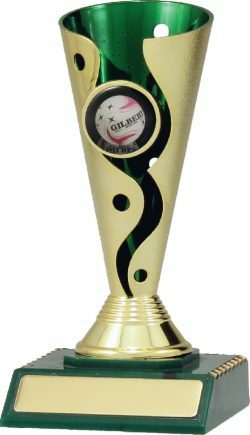 Green coloured trophy cups offer an alternative for your Netball trophies. Different design of cup shows off the green and gold colours and supports a bright gold double player figurine. Available in 2 sizes.